Indoor/Outdoor living at it's finest! This beautiful, bright and spacious 2 bedroom, 1 bath, penthouse condo comes with it's own private, rooftop deck! Absolutely immaculate, the apartment has a huge, windowed eat in kitchen with granite countertops and stainless steel appliances, a large, airy, living/dining room combo, 2 bedrooms (one queen, one full), a beautiful bathroom with Jacuzzi tub and a washer/dryer in the unit. This apartment also comes with its own shared access, private rooftop deck with outdoor BOSE surround sound speaker system, custom lighting, brand new BBQ and breathtaking views of the Verrazano Bridge. 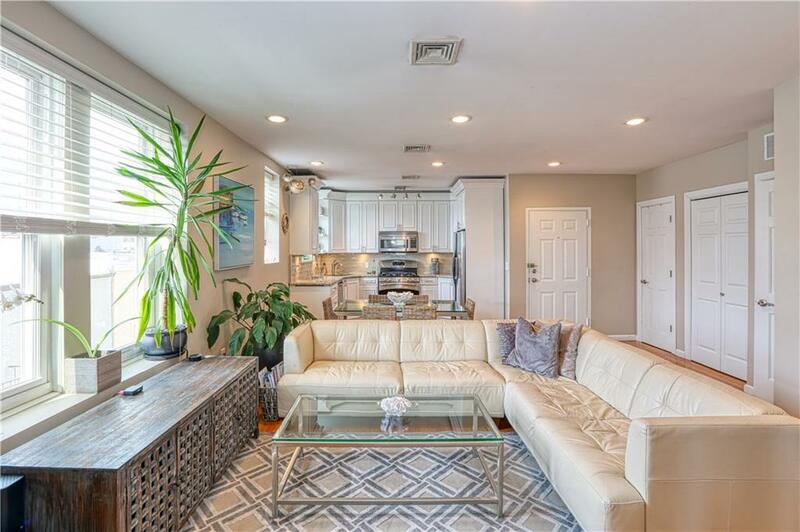 Low HOA fees ($190), extra storage in the basement, tax abated until 2028 (phasing out for the last 4 benefit years) and is pet-friendly with no restrictions! This is a must see, one-of-a-kind property located in a highly desirable neighborhood bordering Dyker Heights and Bay Ridge, convenient to all.